This is Week 5 of the 2015 Maryland General Assembly, and we testified in support of appeal (supersedeas) bonds (HB 164) before the House Judiciary Committee. 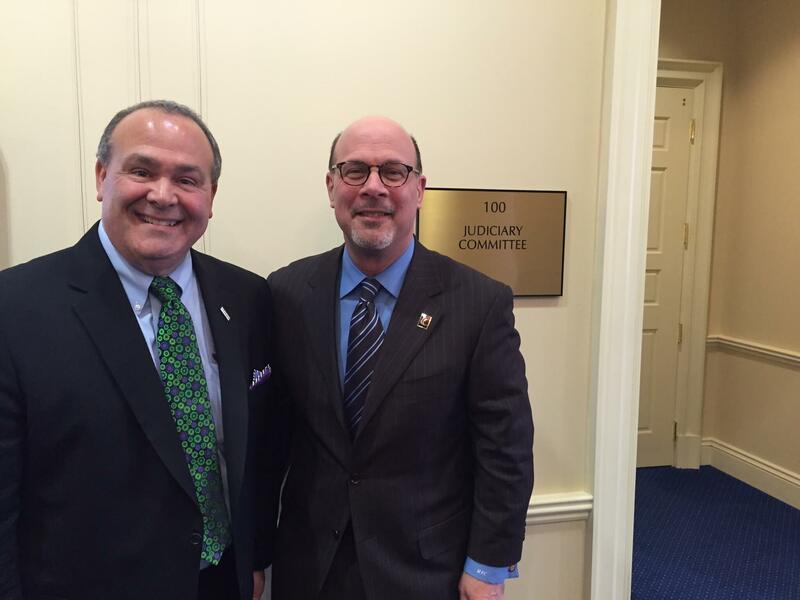 MACPA member Mark Cissell, president and CEO of Maryland CPA firm KatzAbosch (pictured), took time out of his busy schedule to testify on a panel with the Maryland Tort Reform Coalition in support of this important legislation. This bill is important to CPAs and small businesses as it fixes a technicality in Maryland tort law that requires a defendant to post an appeal bond equal to the judgment in order to get access to an appeal. This effectively denies access to justice for CPA firms and small businesses that lack the asset base and / or credit facilities to get appeal bonds. The proposed law would impose an appeal bond cap of $50 million and $1 million for small businesses under the federal definition of small businesses. Our second bill involves updating the definition of “attest” in the Maryland Accountancy Statute due to changes in accounting standards in the past year. This wlll ensure that only licensed CPAs can use the language provided in our attestation standards on these engagements (SSAEs). Next week, we will be at hearings on the Senate version of this bill, sponsored by Sen. Brian Feldman, CPA and MACPA member. Then we will be in hearings before the House Economic Matters Committee for HB 878, the accountancy bill. Here are the bills we are actively working on. You can check on their status at the Maryland General Assembly website; just enter the bill number to see the status. HB 164 – Judgments – Appeals – Supersedeas Bond, sponsored by Del. Dumais (D-Montgomery County). SUPPORT. SB 301 – Judgments – Appeals – Supersedeas Bond, sponsored by Sen. Feldman, CPA (D-Montgomery County). SUPPORT. SB 536 – Certified Public Accountants – Definitions – Attest and Practice Certified Public Accountancy, sponsored by Sen. Conway (D-Baltimore City). SUPPORT with amendments. HB 878 – Certified Public Accountants – Definitions – Attest and Practice Certified Public Accountancy, sponosred by Dels. Vaughn, Adams, Barkley, Branch, Clippinger, S. Howard, Lisanti, W. Miller, and C. Wilson. SUPPORT with amendments. We are working on a few other bills that involve taxes and opposing the Maryland Combined Reporting Act (SB 179 / HB 663) due to its compliance complexity. Here is a brief recap of CPA Day, where more than 200 MACPA members came to Annapolis to meet our legislators and represent our profession. And on the federal level, our work with the AICPA brought some relief with the IRS and tangible property regulations for small businesses.